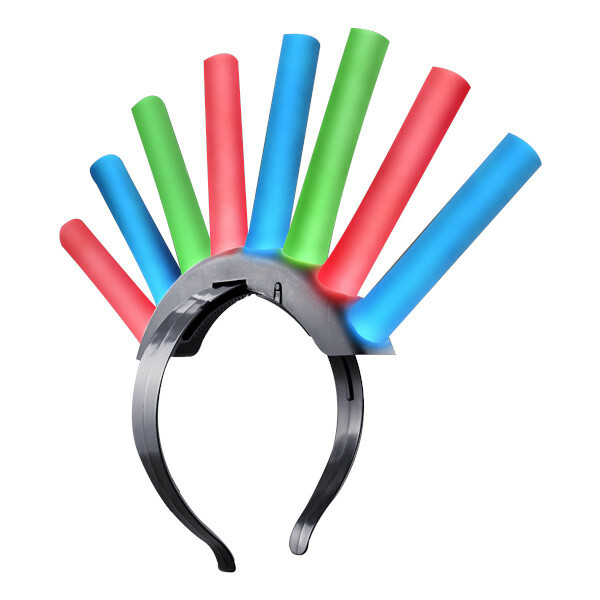 To activate your Red LED Noodle Headband Flashing Dreads, slide the switch on top of the black plastic headband. Lights flash only. Dimensions: Length: 7.50 in. Width: 5.25 in. 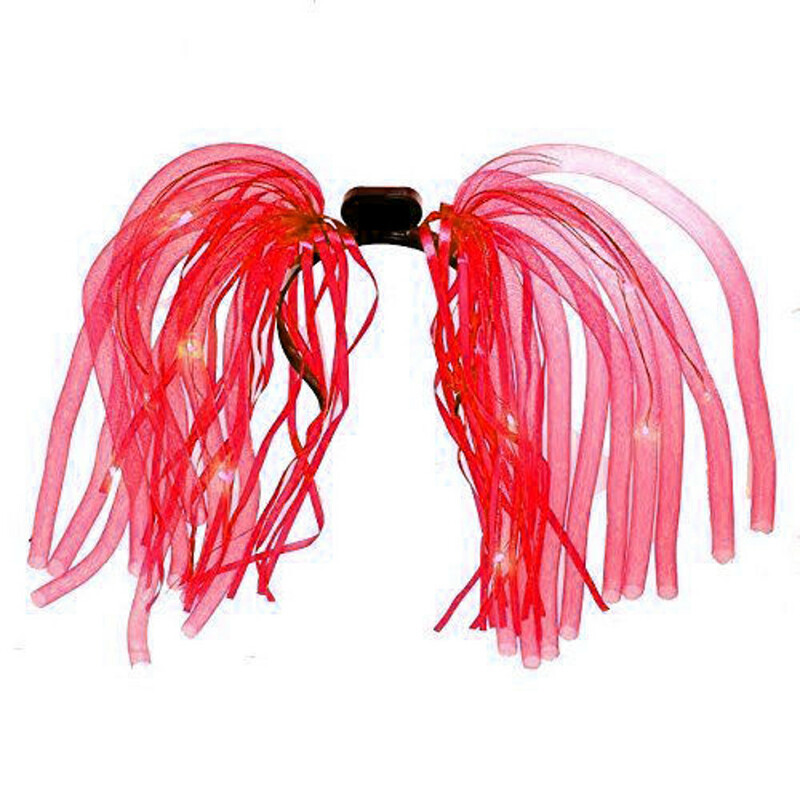 LED Colors: 12 bright red Red LED Noodle Headband Flashing Dreads includes 3 replaceable AG13 Batteries.